I work in retail, which means I am on my feet 8 hours a day, five days a week. 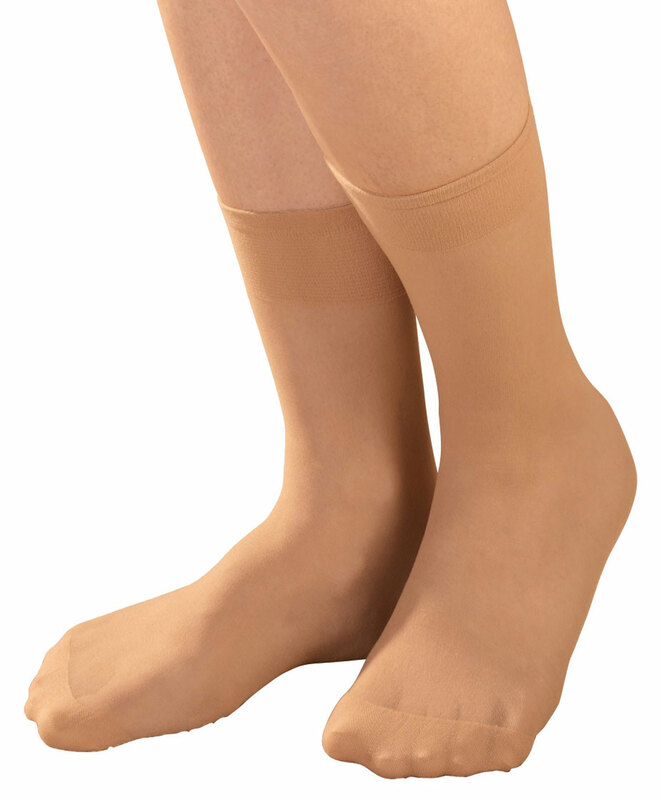 These socks have been fantastic as I have suffered from overlapping toes and the toe socks prevent that from happening. My feet have never been so comfortable. I have told everyone I work with how great the socks are. I wear them frequently. I will be buying more of them. My mom had been wanting plain, white toe socks for a long time. I'm so happy to have found them in the Walter Drake site. I have them to her as a Christmas present; she absolutely love them! I bought these for a Christmas present. The toe socks prevent my toes from rubbing together. So I won't develop sores between my toes. I plan on ordering another two sets (black & white); for back-up! Make sure I always have a pair. It fits great but a little tight between the toes. Kind of hard to wear them for a long time. But like that they do not bunch up in shoe when I put my shoes on. But I have feet problems and they do help some. Bought just one to try. Happy with them. Will buy more. Carry is small size to fit a size 4 to 6 shoe!! All of these type of things are "one fits all" size and they DON'T! I'd like this toe sock to fit a XS size, who wear a size 4 to 6 women's shoe ONCE !! I purchased the "toe socks" to separate my toes (to wear at night). 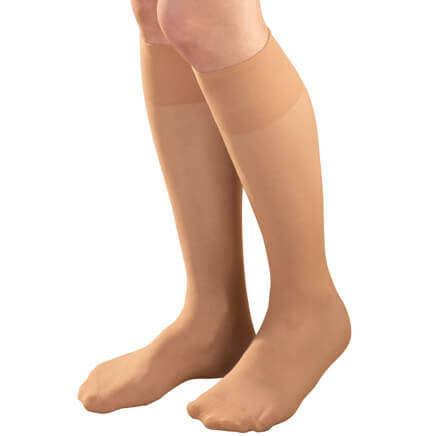 They are tighter than expected, therefore not easy to put on, but "tightness" is necessary to keep them on the feet (and all toes) all night. I have 1-2 pairs now , and need more. 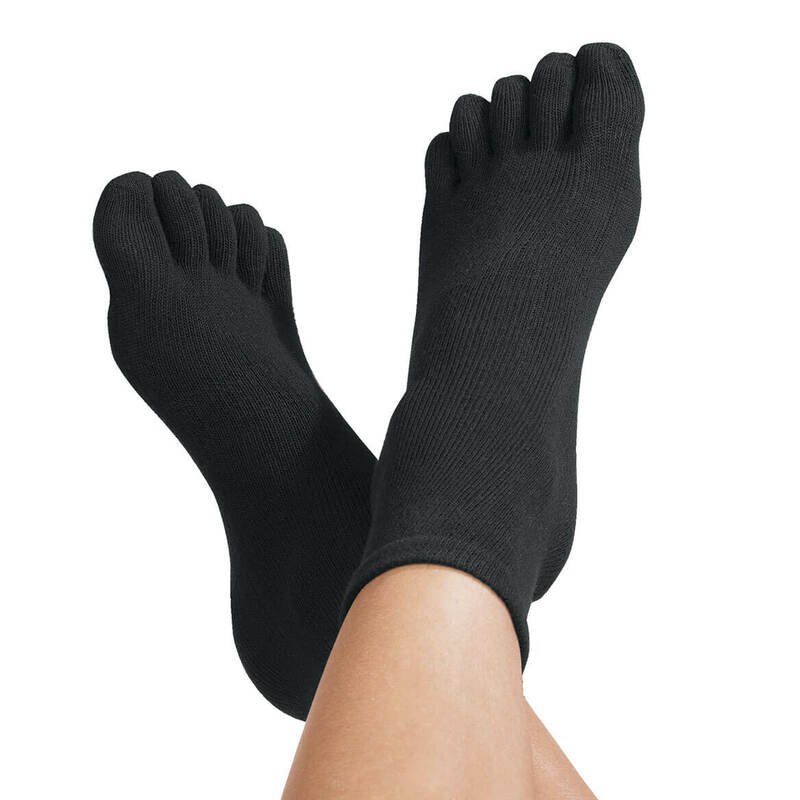 I like socks with individual toes, to keep my toes separated and happy. Material was 90% COTTON (with 10% spandex) - and NO ACRYLIC OR POLYESTER. Hard to find - such a relief, at last. Also, they had good feedback/customer reviews. VERY glad to finally find these in PLAIN WHITE, instead of the embarrassing clownish designs usually found with toe socks. These will be my first pair ever, and I can hardly wait. Thanks. Have been looking for a stocking stuffer, my son has the shoes and needs socks to go with them. It is very hard to find true cotton toe socks in a crew style. This is an excellent product at a reasonable price. Chose these to try out to avoid blisters/rubbing between toes. I wear flip flops and sandles at home and my toes are cold in winter. Regular socks don't work with flip flops. To wear with flip flops! I wear toe socks to help with a bunion. These looked to be crew length, which is what I was looking for. A little something extra for my grandson's birthday. My husband wears flip flops in winter. Hope this works for separating toes. LOVE THEM! Ordered before, used them on an overseas trip. Kept me from getting blisters, which has been a chronic problem. To wear with flip-flops in the house. I have a problem with my toes. Something new and different to try out. They are hard to find and sound good. My toes over lap and make blisters, hope this will help;. Always wanted a pair & was convenient to get it while shopping for others! is the qty mean 1 sock or one pair? BEST ANSWER: The quantity is 1 pair. The only problem for me is that the socks are too tight for me on the ankle. I have a problem with swelling in my feet. Thank you for your question. The quantity is for one pair. We hope this information will be of help to you. I buy the large toe socks for my size 8 shoe and they come in pairs. A pair. And a great deal!